Angela Merkel's recent decision to leave the post of the CDU leader by the end of the year and not to run for the Chancellor's office in 2021 was a surprise for many people both inside and outside Germany. Literally it has become the beginning of the election campaign three years before its official start. The leading parties of the country have already started preparations for the future elections. The CDU lead by Merkel's successor Annegret Kramp-Karrenbauer whose name is often shortened to AKK because of its difficulty is among them. Perhaps, the previous year was the most complicated for both Merkel and her party political carrier. Merkel has formed the government for amazing half a year but even after this the Cabinet several times was on the edge of a split. However, despite all failures the CDU has the best chance to be victorious at the next elections. What's more, both the new party's leader and her team have seriously taken up the preparation for the campaign 2021. A large-scale informational campaign plan setting out both party image improvement and AKK's promotion has been developed with PR specialists' support. Generally, AKK's PR-campaign is based on the struggle against the Alternative for Germany, which is gaining popularity in that country. The campaign plan is well-structured and divided into stages. Among the interim goals there's a victory in the regional elections of 2019, popularization of a new party's migrant policy, both discretization and the general decrease of the AfD rating, which ultimately will allow getting back the electorate lost by the CDU as a result of the migration crisis and forming the CDU leader as the "only candidate to the Chancellor's office who's able to take the country out of the social and economic crisis". A number of activities are going to be provided to achieve the goals set: an analytical preparation, work with both media and social media, reaching agreements with the opponents, AKK's political image promotion, TV debates and opinion polls organization, etc. Both preparation of an informational campaign and participation of a PR-team in its development signals about the serious character of the new CDU leader intentions. 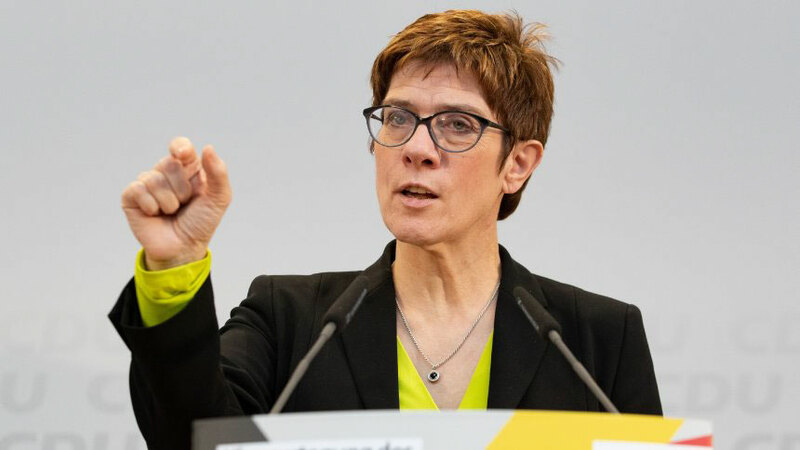 However, such a furious desire to destroy the AfD might play a cruel joke with frau Kramp-Karrenbauer. For recent years the German society has got tired of both an endless migrants' influx and the administrative dereliction, so it has become more loyal to the right populist parties. The main evidence of that is the AfD success, which could break on through to the German Parliament and get the support of many Germans. So, it's possible that both the war declared by the CDU to the right forces and the lack of desire to find a compromise will just scare potential voters away from the party and won't allow AKK become the next Chancellor of Germany.